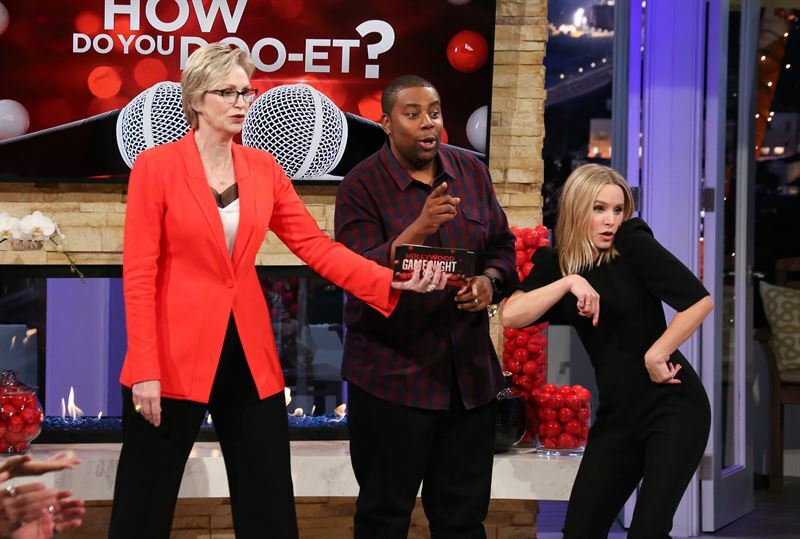 NEW YORK — April 5, 2019 – For NBC’s Red Nose Day primetime programming lineup, Hollywood’s biggest stars will unite for a cause, testing their pop culture prowess and raising money for children in need on a special episode of “Hollywood Game Night.” Hosted by Emmy Award winner Jane Lynch, the special Red Nose Day edition of “HGN” will air Thursday, May 23 at 10 p.m. ET/PT. 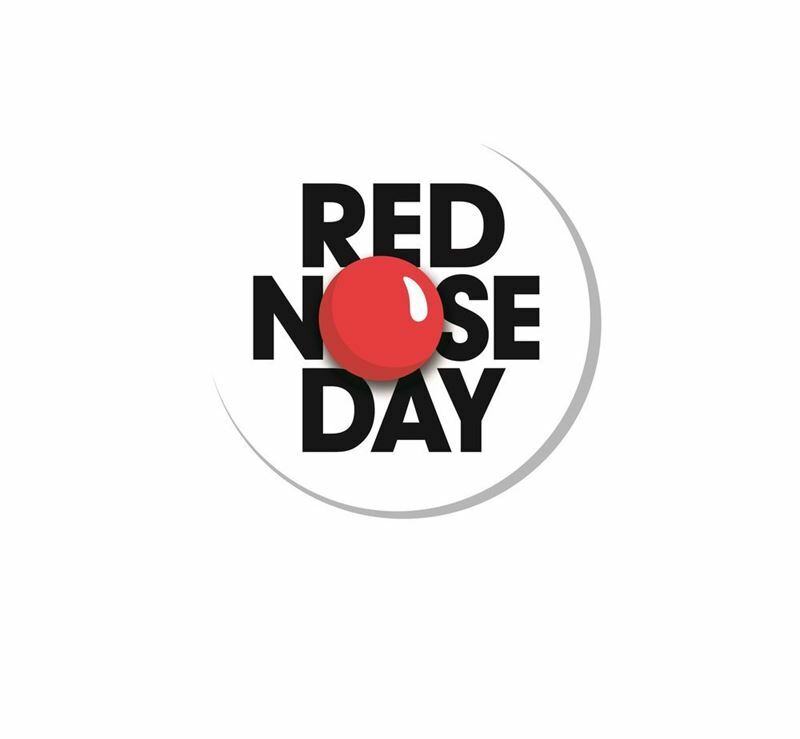 Mars Wrigley Confectionery and the M&M’S® brand are teaming up with Red Nose Day for the fifth year, donating $1 million to the cause as national partners of the campaign. As part of “HGN,” the M&M’S® brand will contribute all money raised by the players over the course of the episode that evening. 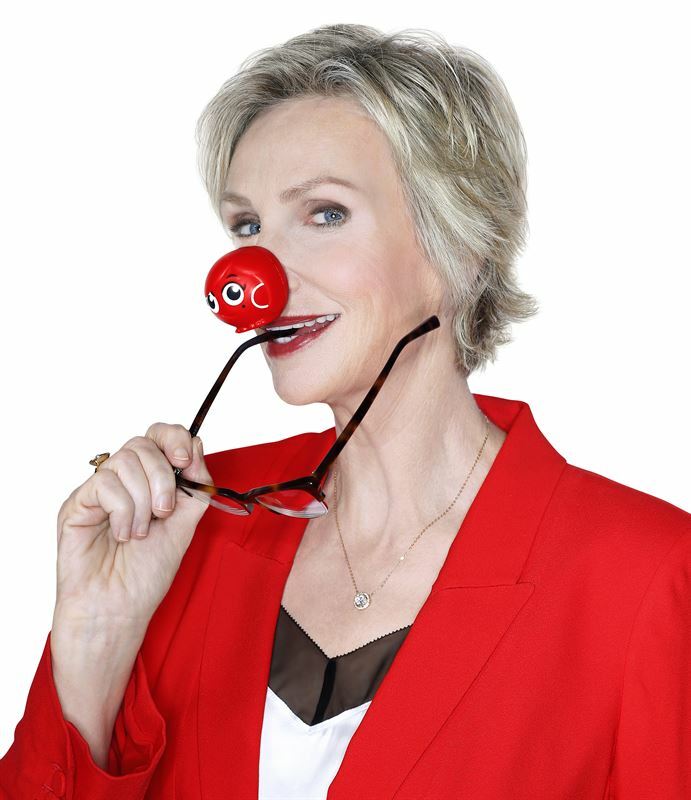 Jane Lynch is the two-time Emmy Award-winning host of “Hollywood Game Night.” She currently co-stars on the award-winning comedy series “The Marvelous Mrs. Maisel” and is well known for her Emmy and Golden Globe-winning portrayal of Sue Sylvester on “Glee.” Additional television credits include portraying Janet Reno in “Manifesto,” “Criminal Minds,” “The Good Fight,” “Portlandia,” “Angel From Hell,” “Party Down,” “Lovespring International,” “Two and a Half Men” and The “L Word.” Lynch’s film credits include “Wreck It Ralph I and II,” “The Three Stooges,” “The 40-Year-Old Virgin,” “Talladega Nights,” “Role Models,” “Julie & Julia,” “A Mighty Wind,” “Best in Show” and “For Your Consideration.” She made her Broadway debut in the 2013 production of “Annie.” Her additional theater work includes “Oh Sister, My Sister” at the Tamarine Theatre and “Love, Loss and What I Wore” at the Off Broadway Westside Theatre. Lynch embarked on her own 2015 live concert tour, “See Jane Sing,” with Kate Flannery, Tim Davis and the Tony Guerrero Quintet. Their Billboard top 10 holiday album, “A Swingin' Little Christmas,” is available from iTunes, Amazon and other outlets. Lynch was raised near Chicago and cut her theatrical teeth at the Second City and Steppenwolf Theatre. Her memoir, “Happy Accidents,” topped several national bestsellers lists, including The New York Times and Los Angeles Times. Kenan Thompson is currently in his 16th season on “Saturday Night Live,” making him the show’s longest-running cast member. Thompson has made numerous contributions to the show with his slew of hilarious impressions that include Rev. Al Sharpton, Charles Barkley, Steve Harvey and David Ortiz, and by playing memorable characters such as DJ Dynasty Handbag, the scathingly fierce co-host of “Deep House Dish,” boisterous second wife Virginiaca Hastings, and “Weekend Update” correspondent Jean K. Jean. In 2018, he received the Emmy Award for Outstanding Original Music and Lyrics for the “SNL” song “Come Back, Barack” and a nomination for Outstanding Supporting Actor in a Comedy Series. Thompson will serve as a judge and producer on NBC’s comedy competition series “Bring the Funny” to debut this summer. A native of Atlanta, Thompson made his television debut as a member of Nickelodeon’s all-kid sketch comedy series “All That.” He and his partner, Kel Mitchell, debuted on the spinoff “Kenan and Kel” in 1996. Thompson showcased his voice talents as Bricklebaum in Illumination’s “The Grinch,” which made history as the #1 Christmas movie of all time. Award-winning actress Jennifer Garner has enjoyed a successful career at the top of her field in both film and television and has also taken on the role of philanthropist and entrepreneur. Garner, known for her versatility in a wide range of roles, including “Alias,” “Dallas Buyers Club” and “Juno,” has recently starred in HBO’s “Camping” and STX action film “Peppermint.” Garner has also held the position of Artist Ambassador for Save the Children for the past 10 years. In addition to bringing Save the Children’s early childhood education programs to her home state of West Virginia, she has advocated on Capitol Hill and traveled to Arkansas, California, Kentucky, Mississippi, South Carolina, Tennessee and Washington to meet with lawmakers, press and philanthropists to raise awareness and funds for the organization. In 2014, Garner joined the global non-profit's board of trustees, deepening her commitment to issues affecting children in America and around the world. Last year, she co-founded the organic-food company Once Upon a Farm with Cassandra Curtis and former Annie’s president John Foraker. Together the visionaries have grown the company with a goal of providing children with the best tasting, most nutritious and highest-quality food utilizing sustainable methods. ABOUT JEFF GOLDBLUM Jeff Goldblum is a stage, film, and television actor, as well as a musician. His debut jazz album, “Jeff Goldblum & the Mildred Snitzer Orchestra: The Capitol Studios Sessions,” was released last year both internationally and in the U.S. by Universal’s Decca Records and the Verve Label Group, respectively. Goldblum’s film credits include “The Mountain” (2018 Venice Film Festival), “Isle of Dogs,” “Thor: Ragnarok,” “The Grand Budapest Hotel,” “Le Week-End,” “Adam Resurrected,” “The Life Aquatic,” “Igby Goes Down,” “Jurassic Park,” “Independence Day,” “Nashville,” “The Tall Guy,” “Annie Hall,” “The Big Chill,” “Invasion of the Body Snatchers,” “Deep Cover,” “Next Stop,” “Greenwich Village” and “The Fly.” Additionally, Goldblum directed the short film “Little Surprises,” which was nominated for an Academy Award for Best Short Film, Live Action. On television, his credits include “Will & Grace” and “Portlandia.” Goldblum appeared in the Lincoln Center Theatre’s production of “Domesticated,” “The Pillowman” on Broadway, the West End’s “The Prisoner of Second Avenue” and “Speed the Plow” at the Old Vic Theatre. ABOUT THANDIE NEWTON Thandie Newton is an award-winning actress, activist and philanthropist. Her on-screen versatility has garnered critical acclaim for performances as Maeve Milly in HBO’s “Westworld,” acting opposite Will Smith in “The Pursuit of Happyness” and in the Academy Award-winning film “Crash.” Newton’s other film credits include Ron Howard’s “Solo: A Star Wars Story,” Oliver Stone’s “W” and John Woo’s blockbuster “Mission Impossible 2.” She recently starred on the highly praised BBC1 drama “Line of Duty,” executive produced the documentary “Liyana,” and received rave reviews for her astonishingly bold performance as the title character in Jonathan Demme’s “Beloved,” which co-starred Oprah Winfrey. Newton is a founding board member of the V-Day Foundation and their One Billion Rising campaign, a global movement to end violence against women and girls. Additionally, Newton’s memorable 2011 TED Talk on the topic of “Embracing Otherness” has been viewed over 2.9 million times. She was recognized for her philanthropic work by the Queen’s New Year’s Honours List and received an OBE for services to film and charity.